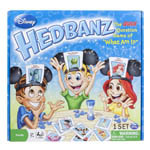 Disney Hedbanz – the game that’s all about using your head! Discover the quick question game of “What am I?” featuring all your favourite Disney characters. Ask questions to figure out if the cartoon on your head is a person or an object from one of your favourite Disney movies. Be the first player to guess what you are and win! 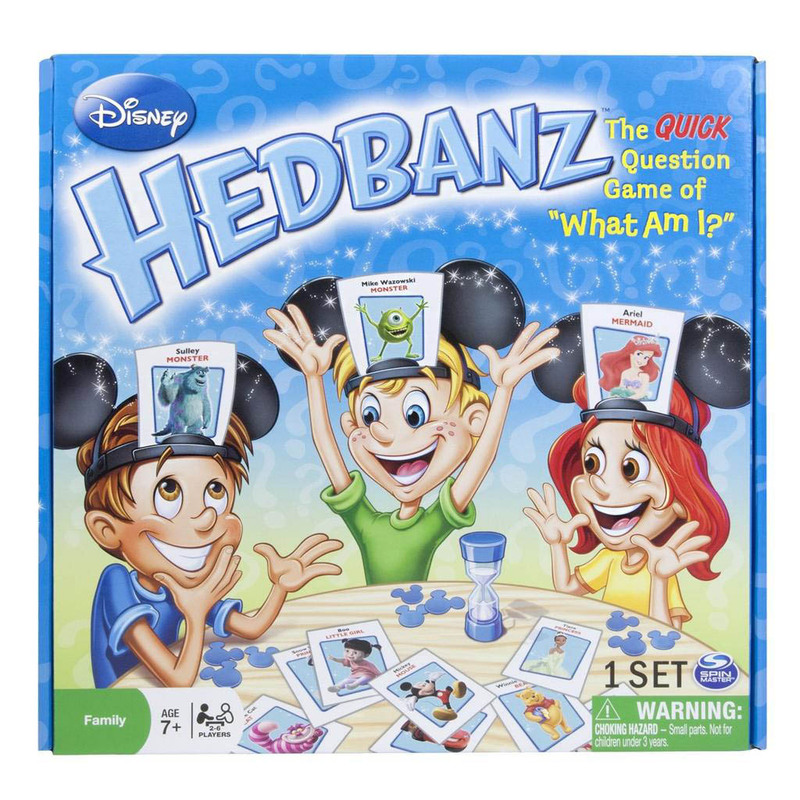 Disney Hedbanz – where everybody knows but you! 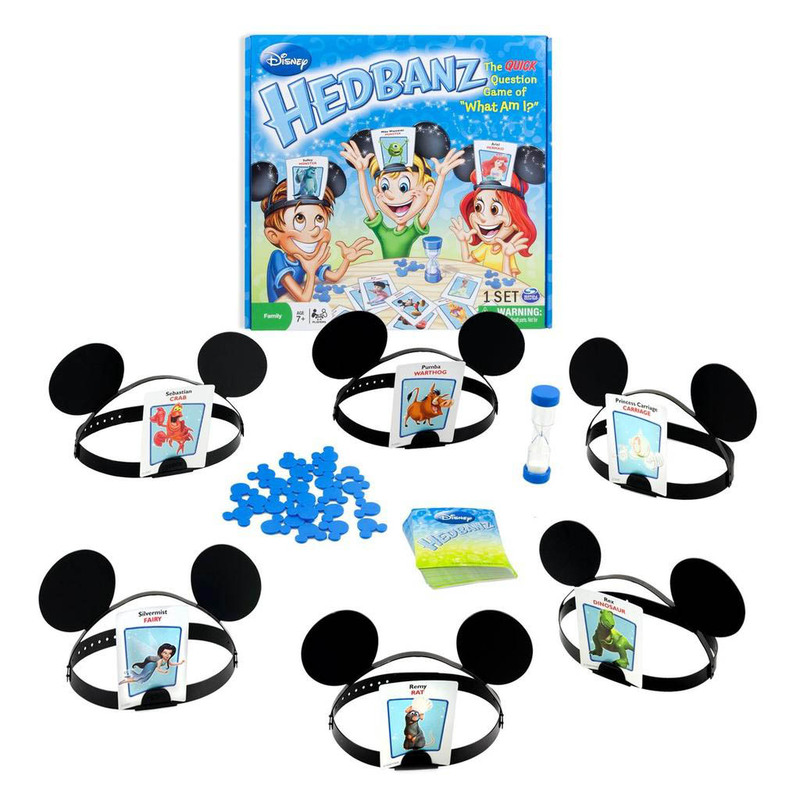 Includes 6 Mickey Ears Headbands, 24 Mickey Chips, 1 Timer and 72 Cards. Contents may vary. For ages 7 years and over. 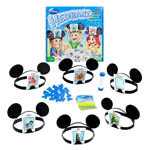 Non-stop fun with your favourite Disney characters!